You can use Haikeisoko backgrounds for the following uses. 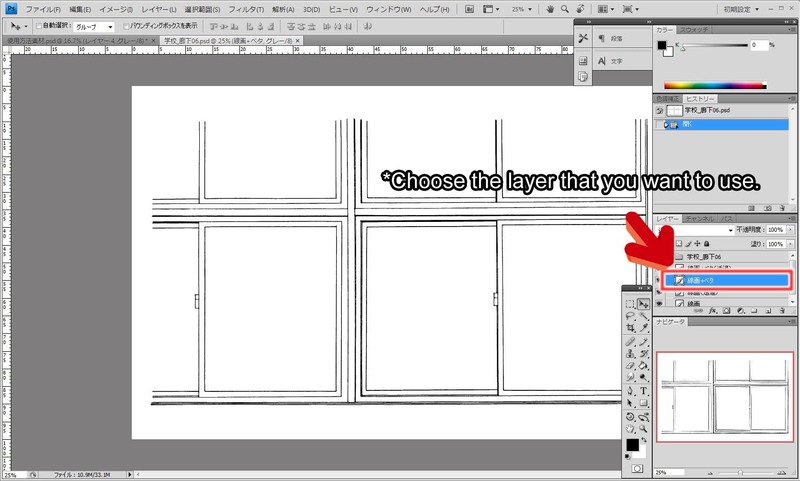 2 Choose the layer (spot filling and transparent) or layer folder that you want to use. 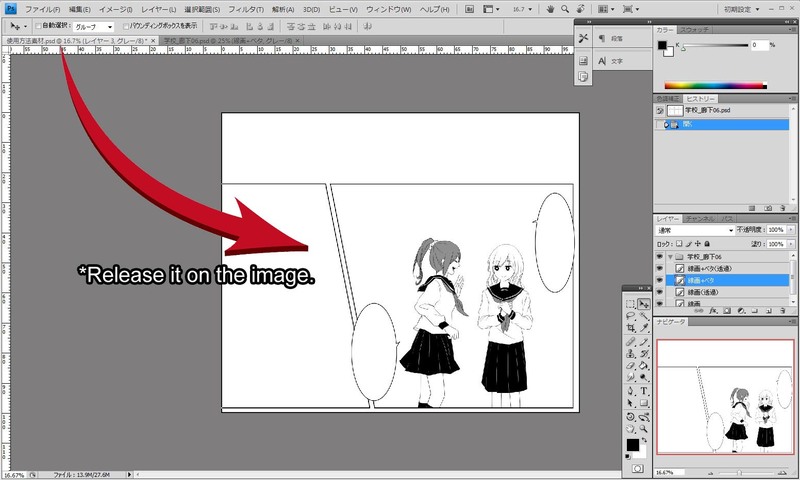 3 Right click and hold the image, drag it to the tab of your manga project using the Move tool, and release it on the chosen image. 4 Go to Edit and Free Transformation to adjust the background to the size you like, and erase unnecessary lines with the eraser or other tools to complete. Change the tone depending on your preference. 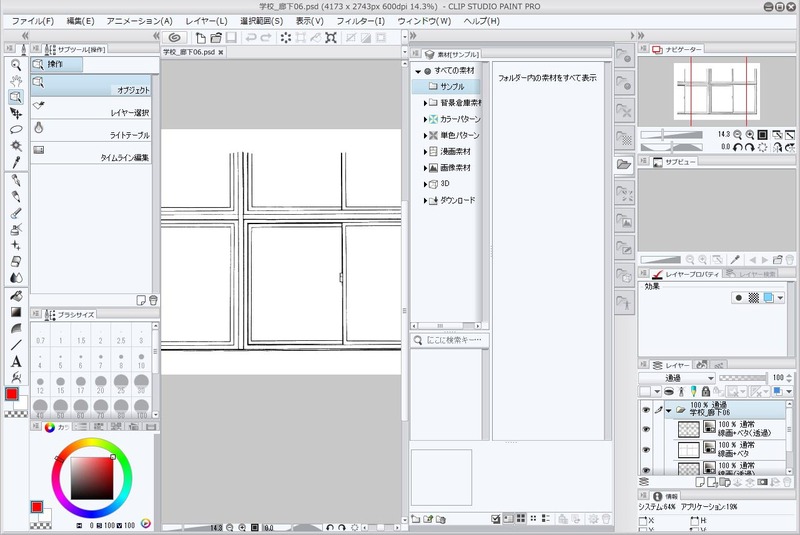 It is also effective to overlay multiple Haikei backgrounds. ***Color removed area Erase unnecessary areas to complete! It is also effective to overlay multiple Haikei backgrounds. 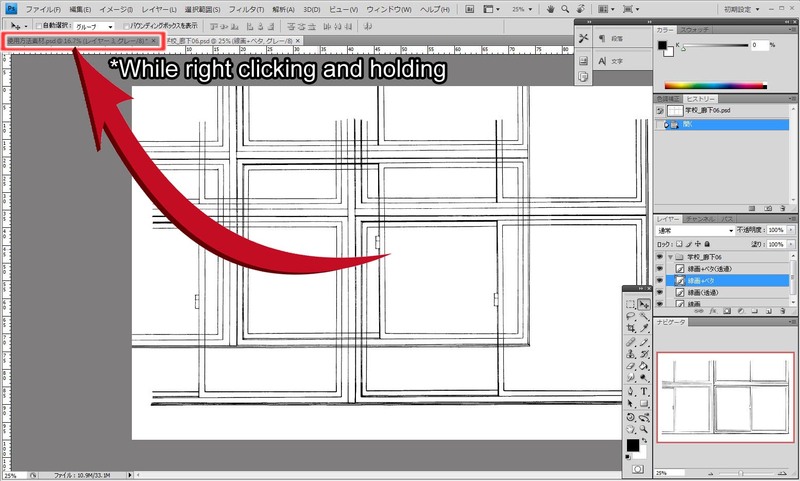 2 Right click and hold the layer folder, drag it onto the material folder and release it (register the material). (Create a new folder if necessary). 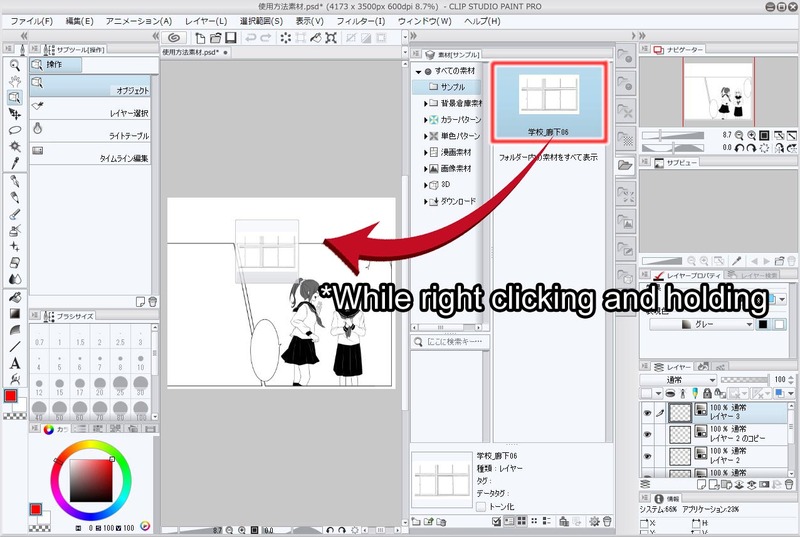 3 Select the background in the material folder, right click, hold, and move it to onto the manga project. 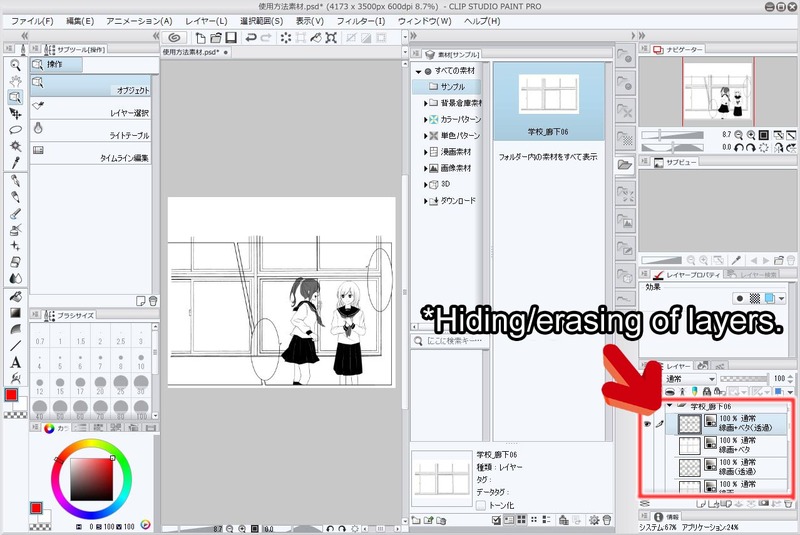 4 Erase or hide unnecessary layers. 5 Go to Edit, Transformation, and then Free Transformation to adjust the background to the size you like, and erase unnecessary lines with the eraser or other tools to complete. 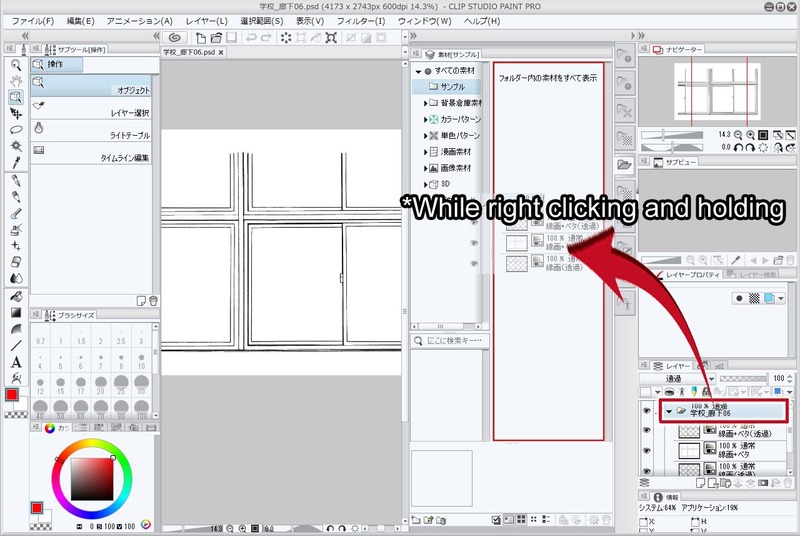 t shows how to register materials by opening files and how to paste them into manga projects. 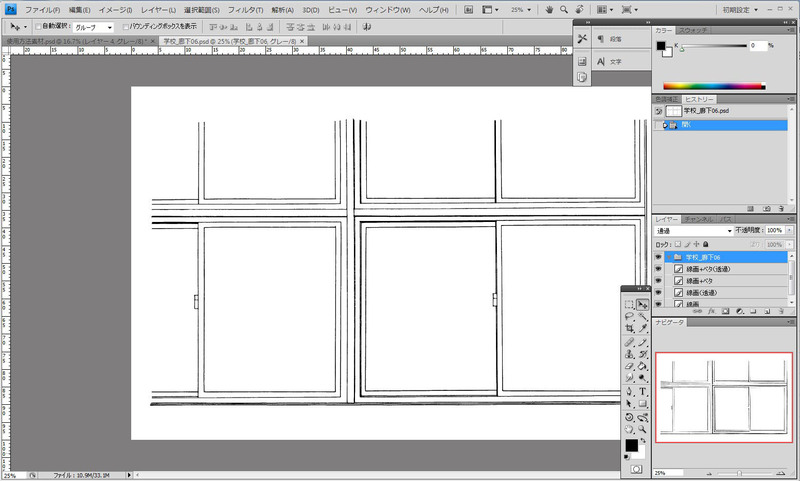 It also demonstrates the layering of tone paper and introduces usage examples on actual manga projects. *Music plays. Be careful with the volume. We are looking for customers’ usage examples! If you have any questions regarding how to use Haikeisoko backgrounds, please feel free to contact us. Copyright (C) 2016 株式会社リプレッド All rights reserved.